Buy Asha Freemantle a Coffee. ko-fi.com/ashaf - Ko-fi ❤️ Where creators get paid by fans, with a 'Buy Me a Coffee' button. If you would like to help me achieve my goal of eventually becoming a full time crafter and artsist, buy me a coffee! All coffees will go towards supplies to help get me started, and caffeine to keep me going! Secured Payments. Support goes to Asha Freemantle's account. 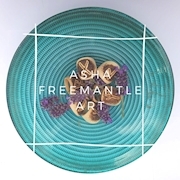 Upgrade Asha Freemantle to a yearly Gold Membership with a one-time payment.